circa 200 sq ft with it own cloakroom and landing the suite also has access to a small waiting room and large communal staff room/kitchen and a private enclosed garden area. Charming single consulting room or office with shared waiting room and private cloakroom in the heart of the city centre. 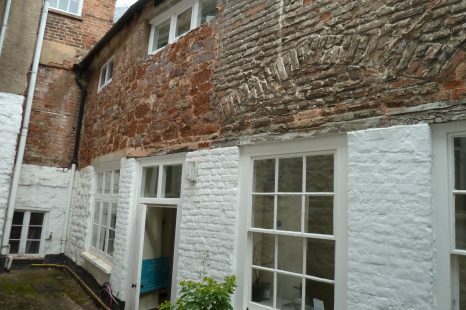 this 2nd floor room is private and peaceful with access to courtyard garden and communal kitchen with a building dating back to medieval times. Sat between the modern Princesshay and the Catherdral close with access to both Choristers is both unique and charming.